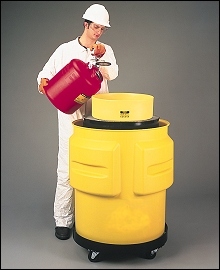 Chemical spill in just about any setting is a very serious event that needs to be controlled with the right equipment. 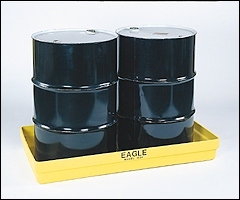 Eagle Manufacturing has designed Spill Containment Platforms and Pallets, made out of heavy duty HDPE, to withstand day-to-day use and long-term storage of the harshest chemicals. 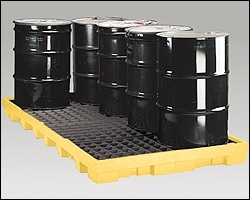 The platforms are constructed with a high capacity to hold from one-to-eight drums, or 10-400 gallons of spilled material. 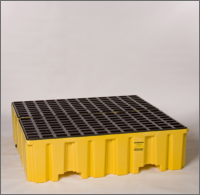 Eagle manufactured containment platforms come in standard and low-profile designs to fit many facilities based on space, height, and other limitations. 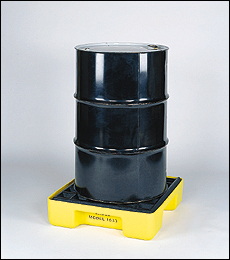 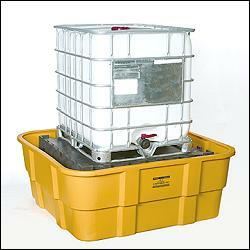 The Chemical spill Pallets and Drum Cradles interlock, acting as a safety net for secondary spills. 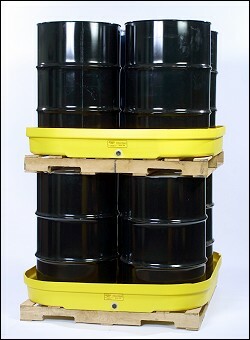 Specialty units from Eagle Manufacturing are also available to suit a wide range of applications for handling chemicals. 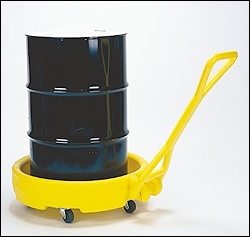 A drum bogie will protect against accidental discharge during transportation, ramps make loading and unloading pallets easy, and IBC containment units will support up to 10,000lbs and 400 gallons of materials. 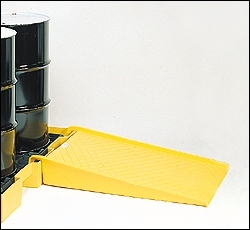 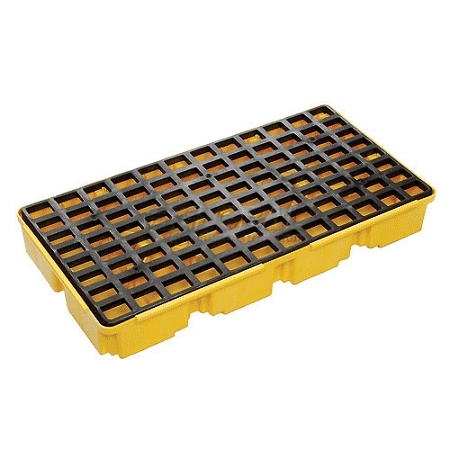 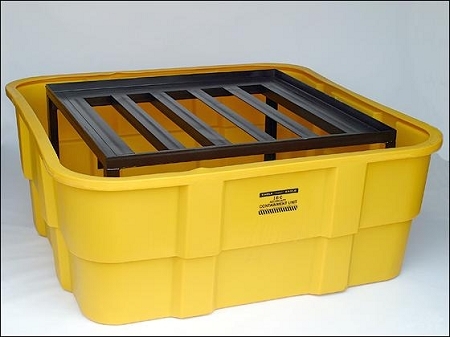 Some products, such as the Spill Containment Drum trays, come with removable grates for easy clean ups. 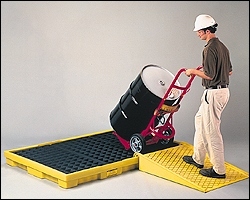 For transporting large loads, the modular platforms have forklift pockets for mobility; in addition, table and countertop models can be purchased for small laboratories and offices. 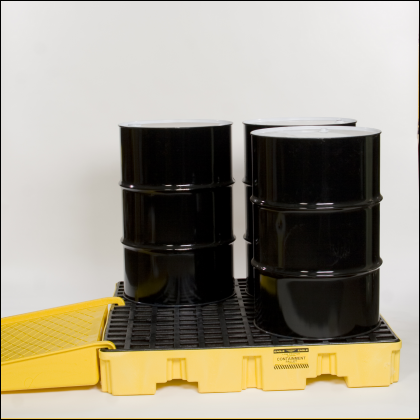 All of these products meet EPA Secondary Containment Storage requirements (40 CFR 264.175). 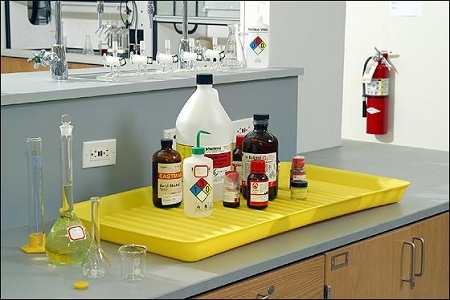 For information on Chemical Resistance, please click the "Specifications" tab. 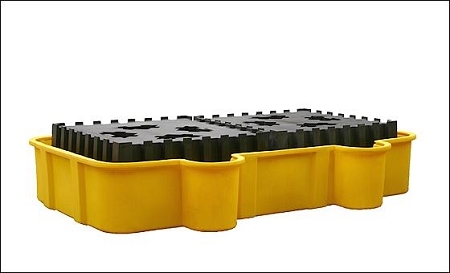 For additional knowledge about this product, please click the "More Information" tab. 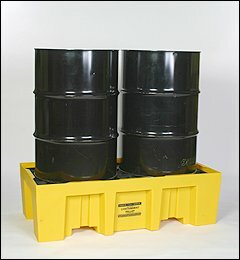 and displayed shipping cost will not be honored.